There is much to be said for the simple, direct observation of our immediate surroundings, and the artistic expression of that observation. I find the results often have a visual charm that comes from the unassuming honesty of the act of observing and recording, unrestrained by the intention of “creating a work”. I see some of that simplicity of intention and directness of observation in the small gouache paintings of Massachusetts painter Laraine Armenti. You will find them as you browse through her blog, simple observations that look as though she has cast her eyes about the room and made a subject of whatever they find. Her direct, often delightfully graphic gouache studies are frequently accompanied by ink drawings of the same scene. I don’t know if these are preliminary or are actually done after the gouache paintings, but they are apparently done in the same session. You will also find small landscapes on both her blog and her website, often in oil, as well as small still life paintings in oil (images above, bottom). Armenti majored in etching at the Rhode Island School of Design, but also studied art history, painting and photography; and went on to pursue a three year study of the figure in the studio of Ronald Rizzi. She established an 18 year career in illustration and graphic design before transitioning into gallery art. David Jon Kassan, a Brooklyn based artist I wrote about in 2008, recently posted a short (7 minute) video to YouTube in which he is shown in time-lapse Finger Painting on the Apple iPad from the live model. The iPad, for those who have been living in a cave in Tierra del Fuego until this morning, is Apple’s new touch-screen device, so Kassan is painting with his finger, a pretty blunt instrument compared to a brush, pencil or stylus. Kassan is painting in Brushes, a very capable digital painting app for the iPhone and iPad that allows for most of the basic tools of digital painting, including, of course, the ability to zoom in on the work. Though it doesn’t allow for variations in pressure, a factor most of us who do digital drawing and painting have come to rely on, it does allow for changes in brush size and opacity, as you can see in the video. Most of us associate digital painting with work from the imagination, particularly given its popularity in concept art and science fiction and fantasy illustration, but a number of people use it to sketch or paint from life. I’ve used a laptop, Painter software and a tablet and stylus to sketch and paint from the model, but it’s a bit of an awkward proposition. The lack of pressure sensitivity seems a fair trade-off for the easy portability and simplicity of the iPad (though you would want to make sure it was well-secured to your easel – grin). Unlike the use of similar applications for the iPhone and Nintendo DS, the iPad is large enough to do more than small sketches. Kassan takes the painting pretty close to the state of a finished portrait. Kassan has updated his website since I last wrote about him, including new work, a blog, and more videos. 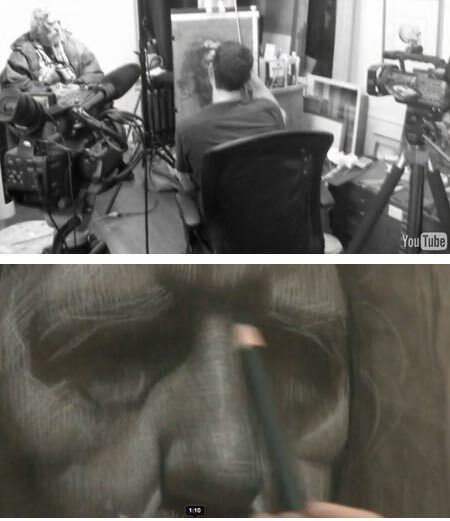 In particular he has released a new three-hour instructional DVD, Drawing Closer to Life (images above), that follows him through a day in the studio, documentary style, as he develops a fully realized charcoal drawing (using the same model as in the iPad painting, if I’m not mistaken). There is a trailer for the video here. Oregon painter Mitch Baird paints the landscape of the Pacific Northwest, both dramatic and more intimate, with a fresh palette, confident brushwork and clear vision. He also applies his skills and passion for plein air painting to scenes from travels in Europe; and paints lively still life compositions and occasional figurative works. Baird received a BFA in Illustration from Brigham Young University, where he credits Ralph Barksdale with inspiring and energizing him in his pursuit of drawing and painting. As a painter, Baird finds inspiration in artists of the late 19th Century, and follows their fascination with the effects of light and atmosphere, and the natural color that reveals itself when painting on location. Nothin’ But Mech is a group blog started by concept artist Lorin Wood and concept designer Scott Kester to indulge in their fascination with robots in all their wonderful widgety variety of shapes forms and functions. They invited a number of their colleagues in the film and gaming industry to participate, and the result is a fun range of all manner of robots, exoskeletons, and other devices that make their way into a loose category of “mech”. 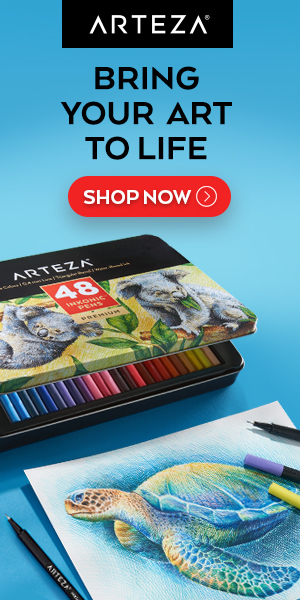 There is an equally diverse variety of drawing and rendering styles: pencil drawing, traditional painting, markers, digital painting and 3-D modeling, along with various combinations of the above. There is an impressive list of contributors, many of whom I’ve featured previously here on Lines and Colors, and the links on the sidebar provide access to their websites and blogs where you can find a great range of concept art. Studio Ghibli, the animation studio of Hayao Miyazaki, which is responsible for some of the best Japanese animated films (and a number of my personal favorites, like My Neighbor Totoro and Spirited Away), is entering the video game arena, partnering with Level-5 game developers to produce a game called Ni no Kuni: Black Mage. 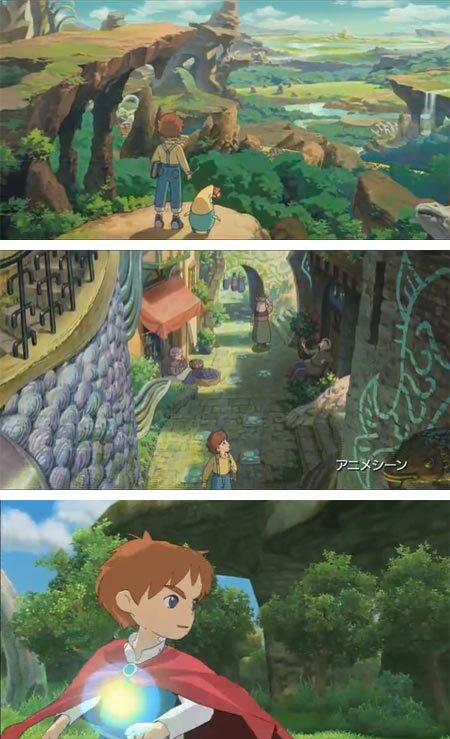 There is a brief trailer on YouTube that shows that Studio Ghibli will be bringing some of the style and visual charm of their hand drawn animation, along with their talent for all-ages fantasy storytelling, to the world of CGI gaming environments. Spirited Away is still the most popular movie of all time in Japan (animated or otherwise), and Miyazaki is revered there, so the game is expected to do well in Japan. It will be intresting to see how it does here. So far, Disney, which has the rights to distribute Studio Ghibli films in the U.S., has been unable (or unwilling) to market them well, so Miyazaki is not exactly a household word outside of Anime circles. There is a brief article about the Studion Ghibli/ Level-5 collaboration in the New York Times.